Flashing swords, brass buttons and drum rolls of a spring parade are just some of the many traditions that have marked over 150 years at the United States Naval Academy in Annapolis. Strains of ‘Anchors Aweigh‘ and similar numbers played by the Naval Academy's Drum and Bugle Corps set the cadence for Brigade of Midshipmen then - just as they do today. History of this organization dates from 1914 when the first appearance of the all-midshipman Drum and Bugle Corps was made. Midshipman R.W. Cary led his 16 members through a baseball game performance between St. John's college of Annapolis and the Naval Academy. The midshipmen quickly took to the idea of a D&B Corps as evidenced by the fact that the next year and for seven years thereafter, a Corps of approximately 59 men functioned to the delight of all hands. The succeeding years brought forth bigger and better Corps, each trying to outdo the one before. 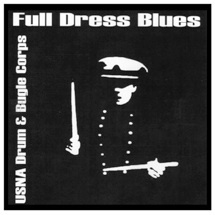 In the late '30s, according to one report, "it was an impressive sight to see the Drum and Bugle Corps then known affectionately as ‘The Hell Cats‘ swinging out on the field in full dress with the white cross-belts shining out against the blue of their uniforms, their precision marching and music providing the lift and rhythm to the tired feet of the regiment." They were a cocky outfit, snappy on the field, comrades off it and ever proud of their organization. From those humble beginnings, the D&B has grown in size and scope to an ensemble of over 100 members that supports the Brigade of Midshipmen musically in a myriad of ways. Whether on the drill field or the football field, the D&B can be counted on as the pulse of the Brigade, keeping them in step while in formation and inspiring a unique brand of “Beat Army” spirit at sporting events. From fight songs to alma maters, from the first kickoff to the last strains of “Blue & Gold”, the Corps proudly performs many of the functions of a typical college band, providing pep bands for a number of sports teams at USNA, supporting Brigade pep rallies for marquee events, as well as marching halftime shows at Navy football games. The Corps also serves as a military band for a number of USNA functions, providing martial music and drill for noon meal formation and dress parades. Additionally, the Corps functions as a recruiting and public relations asset for the Naval Academy, presenting patriotic parade and concert performances around the world. All told, the Naval Academy Drum & Bugle Corps performs over 100 times per year in support of the Brigade of Midshipmen. The Navy D&B is currently compiling a database of former members, with the hope of hosting alumni events. With sufficient interest, we hope to host alumni reunions and tailgaters, as well as notify alumni when the corps is performing nearby. If you marched with the Naval Academy Drum & Bugle Corps, please email the following information to the corps director, Mr. Jeff Weir. Full Name: required Name is required. Class Year: required Class Year is required. Email Address: required Email is required. We are also always looking for photos and memorabilia from previous years! Please do not hesitate to send us your favorites! The U.S. 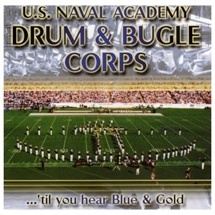 Naval Academy Drum & Bugle Corps is an activity for midshipmen (matriculated students) at the Naval Academy, which is a four year undergraduate university. If you are interested in auditioning for the Naval Academy Drum & Bugle Corps, you must first apply and receive an appointment to the Naval Academy. Information on that process can be found at the Naval Academy’s Admissions Department homepage. Midshipman interested in participating in the Drum & Bugle Corps should contact the corps director, Mr. Jeff Weir, preferably via email. Prior experience on brass or percussion is helpful, but certainly not required. Sample audition materials are available by clicking the links below. To request a performance by the U.S. 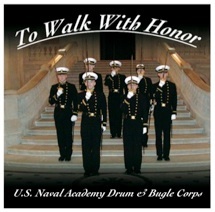 Naval Academy Drum & Bugle Corps, please fill out this form. When complete, fax or email the form to the corps director. We generally plan our schedule at least 12 months in advance. 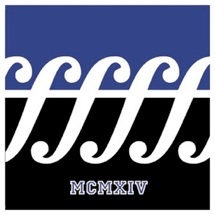 The corps is only active during the “academic calendar” from September to May. We are not active during the summer months. We are required to favor events that support the mission of the Naval Academy. There is no fee to have the corps perform. However, if dates conflict between multiple requests, we generally favor the most cost effective options. All requests are reviewed by the corps staff before being forwarded to the Director of Musical Activities and the Commandant of Midshipmen for approval.